We are rescheduling this meeting and will repost the signup when a date is scheduled. Thank you for your patience as we worked to create this new site to serve our community. 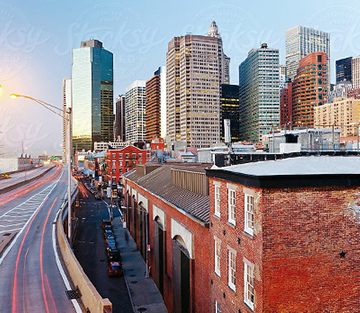 The Peck Slip School is located in the Historic South Street Seaport in Downtown Manhattan, right at the base of the Brooklyn Bridge. The South Street Seaport District features some of the oldest architecture in downtown Manhattan, and includes the largest concentration of restored early 19th-century commercial buildings in New York City. Peck Slip itself was the site of the very first ferry service in the city, operated by Cornelius Dirckson with a small canoe. The ferry ride cost 3 beads of wampum in 1630. On the front of the Peck Slip school building, there is a beautiful piece of artwork by artist Duke Riley depicting this wonderful piece of history. 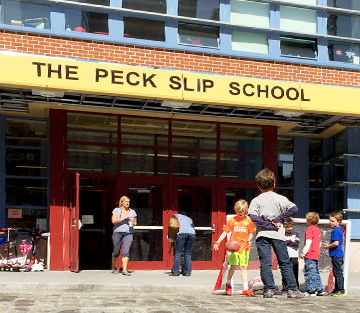 The Peck Slip School’s amazing historic location gives students the perfect backdrop for their studies of the Brooklyn Bridge, the Subway, and all things New York City. 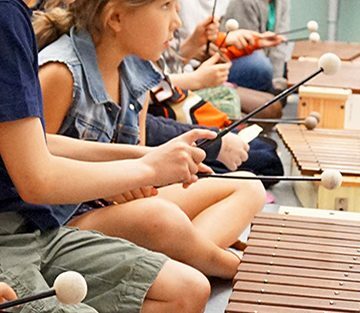 Funds raised support and enhance the education that our children receive every day from their teachers, including: Art, Music, Science, Storytelling and more! This is an easy way to contribute to our school. 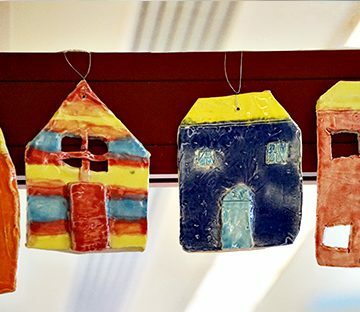 Order your Amazon purchases from this link, and a percentage of your purchase will go to PS 343. Click here to go to the Peck Slip School PTA’s website. 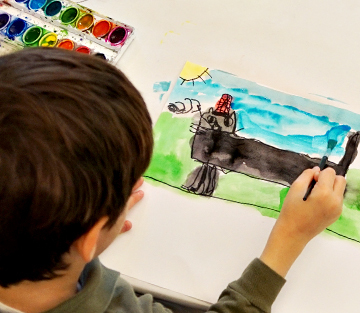 Find out what After-School programs are offered for the students of PS 343. The official website of the NYC Department of Education.